the MomTog diaries: Feeling Lucky Lately? I sure am!! This week I have been on a winning streak and I'm shouting it from the rooftops!! I WON!!! I have been following a blog called Flea Market Style that is all about decorating your home with antiques and flea market finds! The blog also chronicles the creating and production of the "just released" magazine with the same name, Flea Market Style! 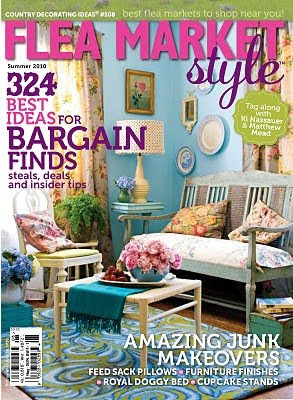 The magazine is slowly trickling in to retailers near you and I was thrilled to learn that I won the giveaway on their blog for a free copy!! I am sooo excited to get it. I know I will love it! Right now the magazine is just a one issue deal but if sales are good then it might become a quarterly!! Please share the love and head over to a store near you and pick up a copy! I'm sure you'll love it too! And make sure you visit the blog too! Mandisa!! 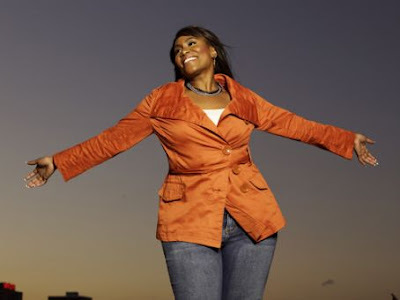 I just love her soulful, uplifting and encouraging music! If you've never heard her sing you don't know what you're missing!! And to top off my winning streak I learned on friday evening...well actually it was VERY early on saturday morning, that I had won these..
What are they you ask?? 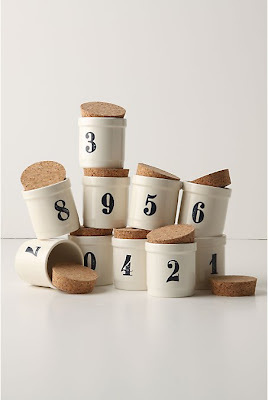 Just the cutest little spice jars from none other than my FAVE store in the whole world...Anthropologie, of course! But no, I didn't win them from Anthro. Anyone who knows anything about Anthro will know that they don't give NOTHIN' for free, lol! 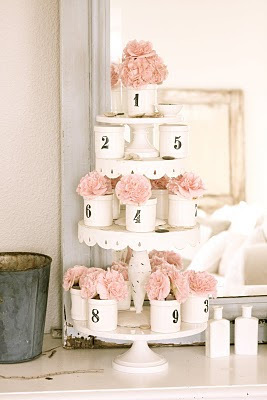 I won these little cuties here at the prettiest decor blog ever!! Seriously, Dreamy Whites is my newest blog obsession!! Maria, the girl behind the blog, is SUPER sweet and talented too! Check out how she spruced up her spice jars...Maria, I hope you don't mind that I borrowed this! The simplicity and elegance of her blog and home is STUNNING! I am so inspired every time I look at it. She started her blog just over a month ago and she already has quite a following...like nearly 800 followers!! That's insane! In just a few weeks! Please head over and visit her blog and say "hi". It will be very obvious why people are so drawn to it! Anyway, I am sooo excited about my wins and couldn't help but share my excitement with you. Remember the resort stay I won last year?! It gave us the chance to have our incredible Disney Vacation! That was awesome!! It's always fun to win...don't you think? Hope you all have a winning week...I'm off to enter more giveaways while my luck is on a roll!! I just found your beautiful blog thanks to Maria from Dreamy Whites! You're a very talende photographer! I love your photos! You are Such a LUCKY person Hana, I can't believe you have been so lucky. You are so sweet!!!! You can use my pictures anytime. God has graced you with some serious talent my friend. p.s. Thank you for all the wonderful things you said about me, you are too kind. That really means a lot to me what you said. Very nice of you to put a link to ME. Dang girl! Lucky for sure!